eSIM is a virtual embedded SIM that cannot be removed and will be a viable alternative to the physical, plastic SIM card for many of the upcoming smartphones to be released. Globe Telecom is bringing the embedded Subscriber Identification Module (eSIM) to the Philippines. eSIM is a virtual embedded SIM that cannot be removed and will be a viable alternative to the physical, plastic SIM card for many of the upcoming smartphones to be released. 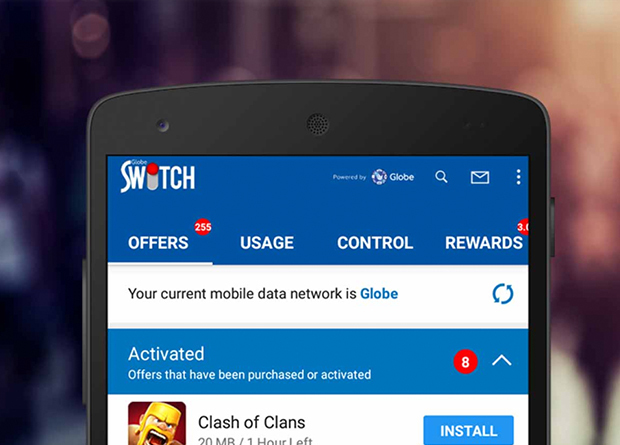 “With the introduction of eSIM, Globe further strengthens its position as the country’s mobile innovation leader. This new technology enhances our customers’ experience and the way they live their digital lifestyle. The eSIM is also consistent with our initiative to reduce plastic use as part of our sustainability commitments,” says Issa Guevarra-Cabreira, Globe SVP and head of Consumer Mobile Business. eSIM is pre-installed in mobile and wearable devices, and is equipped with automatic activation without the need for a physical SIM. Its digital management capability and automatic syncing feature also enable customers to use and manage multiple devices. As it eliminates the need for a physical SIM, the eSIM therefore removes the use of plastics in SIM activation and contributes greatly to environmental sustainability efforts. Transitioning to eSIM, which removes the need for extra plastic and paper packaging, strengthens the commitment of Globe to support a circular economy by reducing solid waste and avoiding single use plastics getting into landfills. Globe is currently running tests of the eSIM technology with select eSIM-enabled devices such as iPhone Xs, Xs Max, and XR; Apple Watch and Huawei Watch. Globe Postpaid ThePLAN customers can avail of iPhone Xs, Xs Max, and XR this month, while Apple Watch and Huawei Watch will be available soon. Before the year ends, Globe customers with eSIM-enabled devices can get QR cards at Globe Stores and scan it using their phone to activate their eSIM. At present, eSIM is only available in 10 countries including the United States, United Kingdom, Canada, and Singapore. Globe is working towards the full digitalization of the eSIM technology as the industry foresees the arrival of more eSIM-enabled devices in the near future.